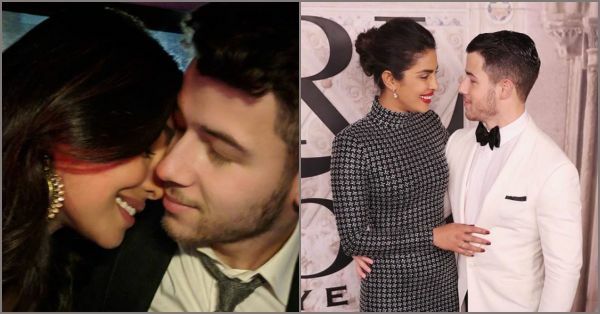 7 Ways Priyanka And Nick's Love Story Smashed All Kinds Of Stereotypes! Guys let's be freakin' honest, Nick and Priyanka haven't had it the easiest when it comes to garnering public support for their relationship. When they started first being spotted together in New York and at his cousin's wedding, people pointed fingers and made many speculations. I guess, being in the public eye opens you up to a hundred opinions. But through all of that, Nick and PC held their own and their love proved to be stronger than any of the criticism they had to hear. 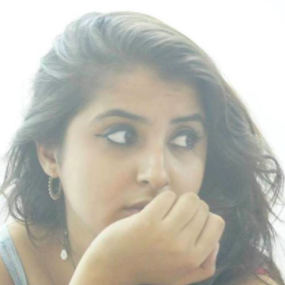 And now that the grand shaadi is just around the corner, we're listing down all the ways in which our desi girl and her pardesi babu are smashing stereotypes. The guy is younger than the girl? Hawww! You know how everyone says that the guy should be older than the girl, that's the only way a marriage works. Well, Nick turned 26 this year and PeeCee is 36 which makes him 10 years younger, but that didn't stop them from falling deeply in love. Age is just a number and these two are proof! Many men feel threatened by women who are doing better professionally than them: a man needs to be the breadwinner. Screw that! Priyanka Chopra earns more than Nick Jonas, has a bigger fan base and they're both perfectly okay with that. You know how Indians families say that once a girl is married she becomes a part of the husband's family. She has to follow the traditions and customs of sasural but here we saw that it was actually Nick who imbibed PC's culture and even chanted the mantras during the roka puja. Priyanka is a tall girl and we love her for it and still she doesn't shy away from wearing heels, I mean why should she?! Ladies can own their height and so can men, we're in 2018 for God's sake! Both PC and Nick are from the media fraternity, they are both actors, both of them make music but that doesn't stop them for standing tall as a power couple. In fact, they probably push each other to reach greater heights! You know how desi aunties keep saying that your biological clock is ticking and it's important to get married at a certain age. Priyanka Chopra has completely smashed that myth. She waited to find her prince and didn't succumb to pressures of marriage. She decided to take the plunge only when she met the man of her dreams. All couples these days have been dating forever, be it Virat-Anushka or Deepika-Ranveer. But Priyanka and Nick have barely been together. I guess when you know, you know! Stay tuned for all the Nickyanka updates here. We'll definitely keep you posted.